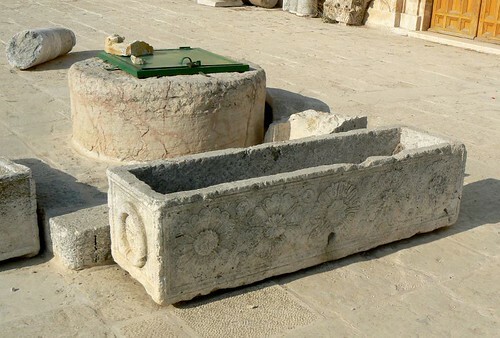 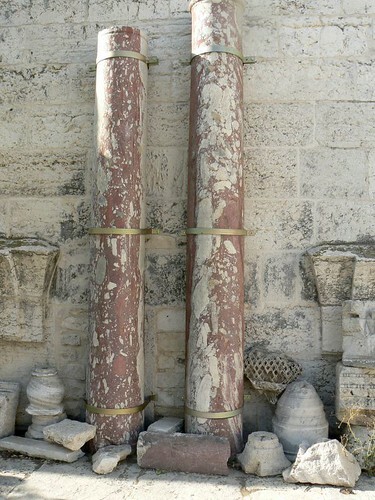 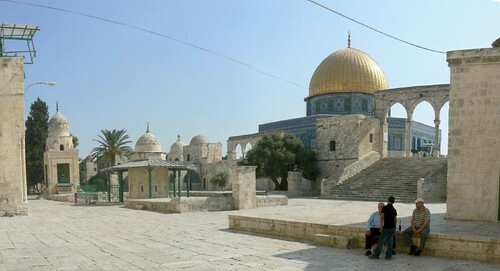 The Temple Mount (Har Habayit, Haram esh-Sharif)is the holiest site for Judaism. 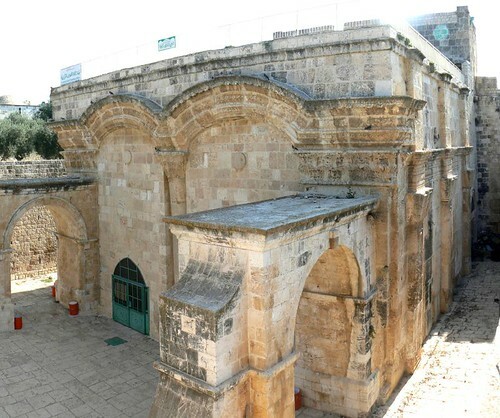 The Jewish Temple in Jerusalem stood there: the First Temple (built c. 967 BC, destroyed c. 586 BC by the Babylonians), and the Second Temple (rebuilt c. 516 BC, destroyed in the siege of Jerusalem by the Romans in 70 AD). 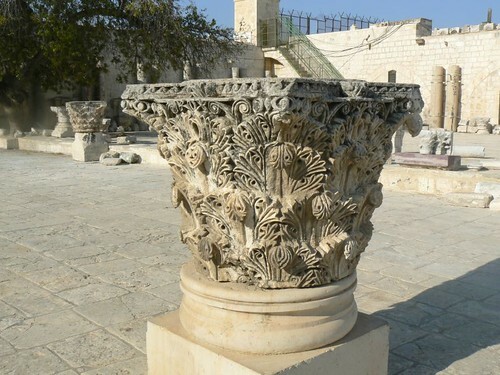 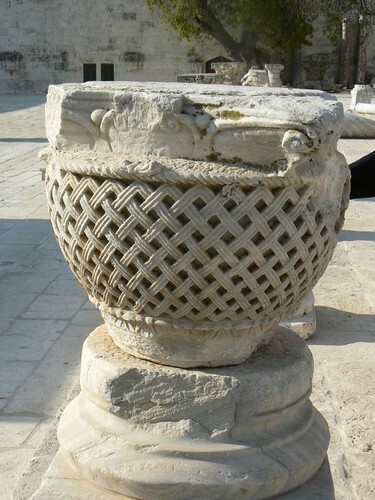 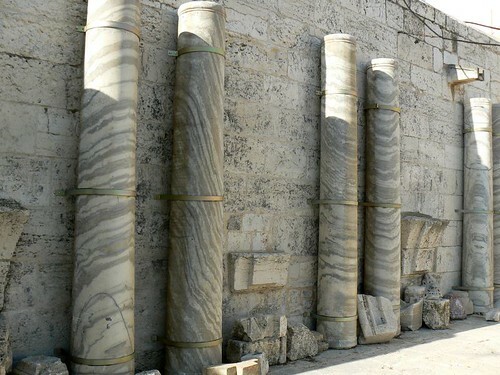 Following the destruction of Jerusalem by the Romans in the year 70, the area of the Temple was deliberately left in ruins (first by the Romans, then by the Byzantines). 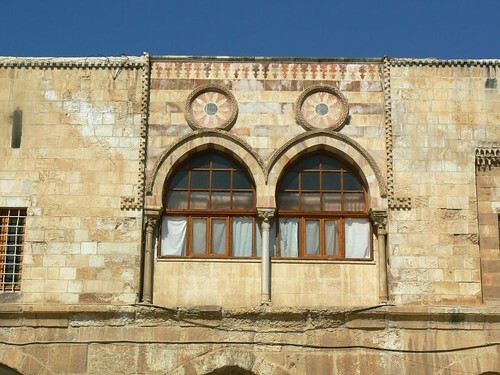 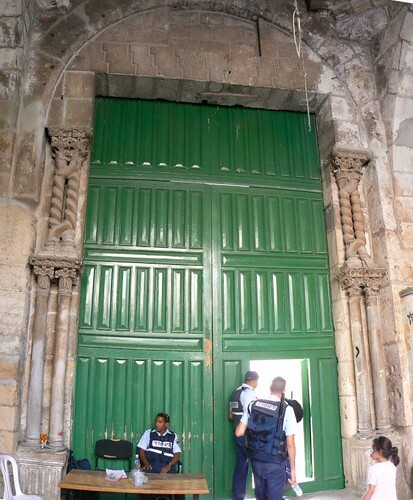 This desecration was not redressed until the Muslim conquest of the city by the Caliph Omar ibn al-Khattab in 638. 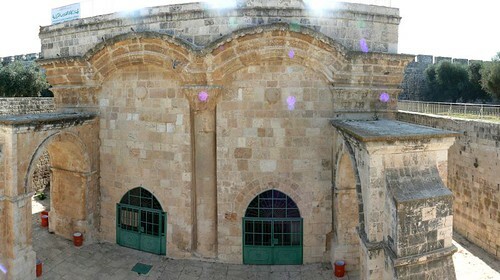 He ordered the clearing of the site and the building of a “house of prayer”. 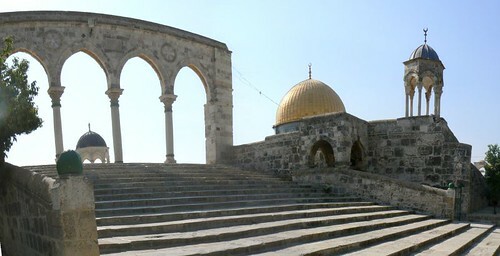 Some 50 years later, the Umayyad Caliph Abd al-Malik built the Dome of the Rock to enshrine the outcrop of bedrock believed to be the “place of the sacrifice” on Mount Moriah. 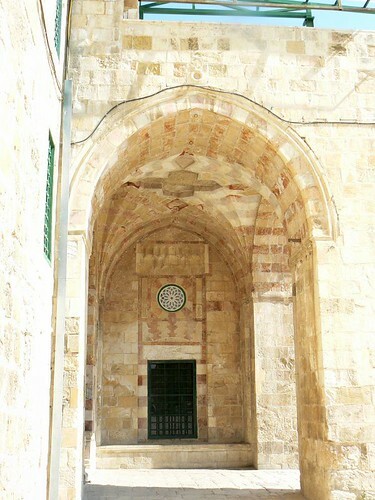 He (or his son, the Caliph al-Walid I) also built the large mosque at the southern end of the Haram, which came to be called al-Aksa after the Koranic name attributed to the entire area. 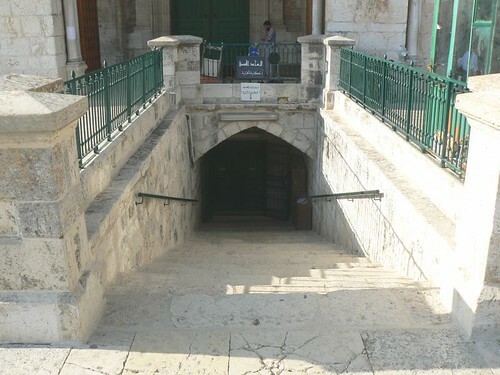 A stairway in front of the north entrance to the al-Aksa Mosque leads down to a vaulted passageway and the walled-up Hulda Gates, which had been an entrance to the Temple Mount Platform at the time of the Herodian Second Temple. 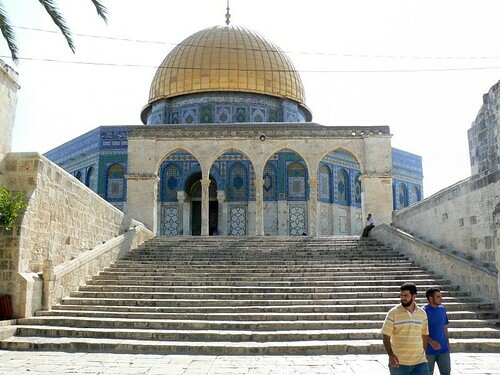 The Dome of the Rock stands on or near the approximate site of the Jewish Temple (most of the scholars today think the rock is the place of the Holy of Holies). 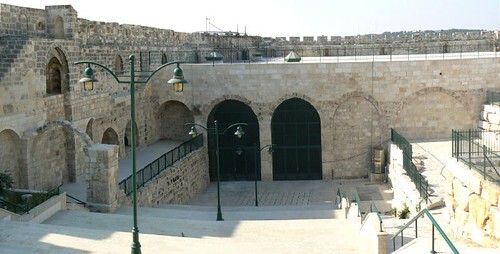 The Golden Gate – The House of the gate. 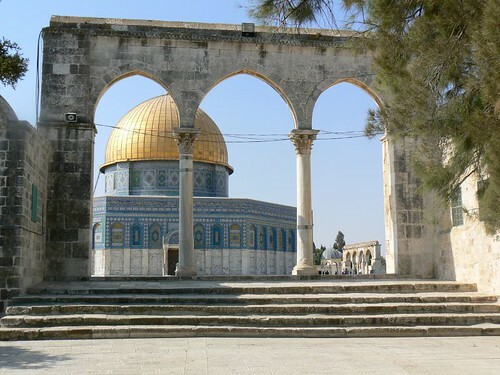 very nice place,i wish that i can come here. . .